A medium roasted 100% Arabica blend from Central and South America. This coffee has a smooth, nutty flavour with a marked sweetness and a wonderfully pleasant finish. This coffee replaces Clipper Medium Roast filter coffee which has been discontinued. 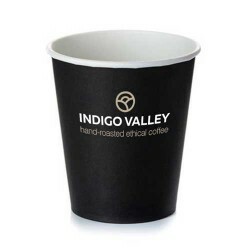 However, rest assured, we have commissioned Clipper's own roasters to produce an identical coffee unique to Indigo Valley so you can continue to enjoy exactly the same beans, roast and, most importantly, flavour.